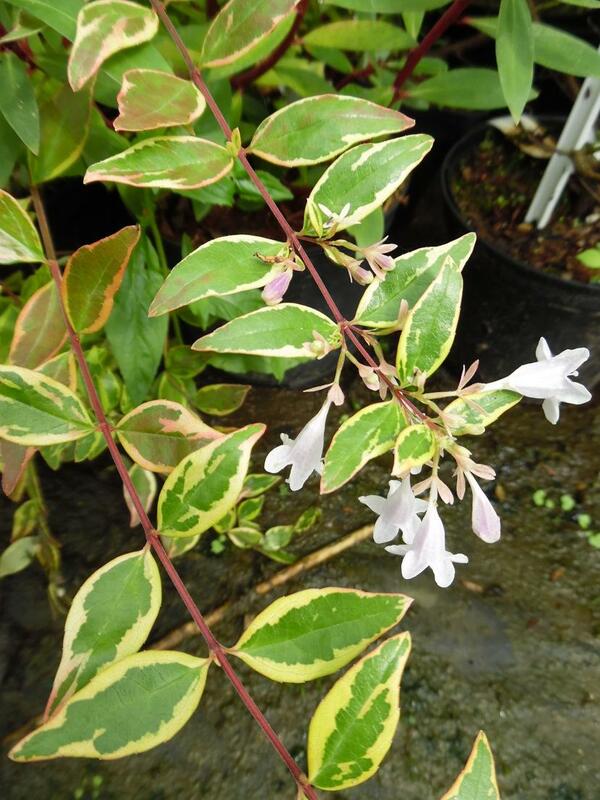 Abelia Hopleys is a semi evergreen shrub with green leaves and irregular yelow edges gradually turning white in the sun. Produces lilac tinged white flowers in summer. Prefers full sun conditions. Eventaul height and spread up to 1 to 1.5 metres.